Roads, Drives, Tennis Courts, Block Paving, Patios since 1989. 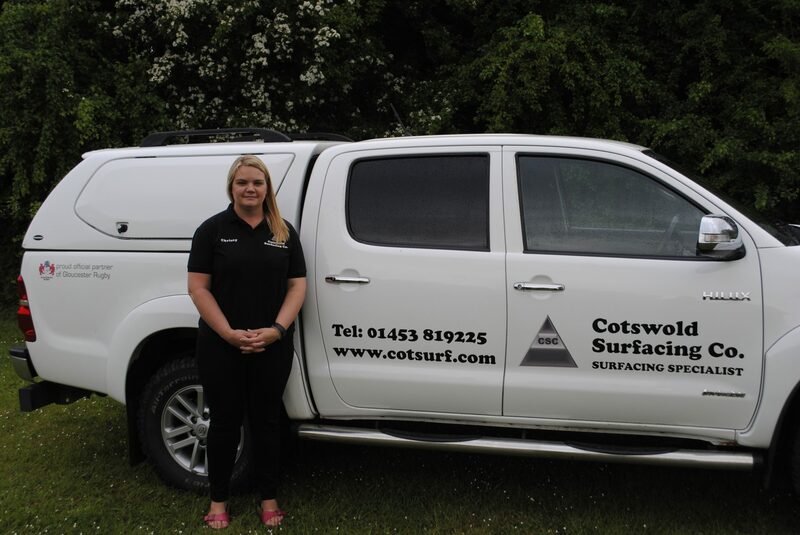 Cotswold Surfacing was formed in 1989 by R S & C E Westmorland, then in 2011 it was taken over by a former employee of 16 years, Andy Harvey and his wife Christy. 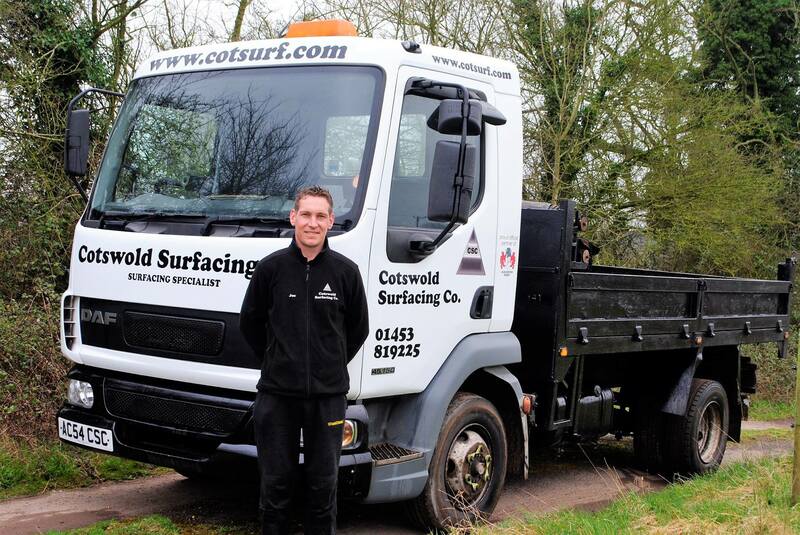 We are an unincorporated business specialising in road construction and surfacing. We carry out work in both the private and public sector, either as the main contractor or a subcontractor. 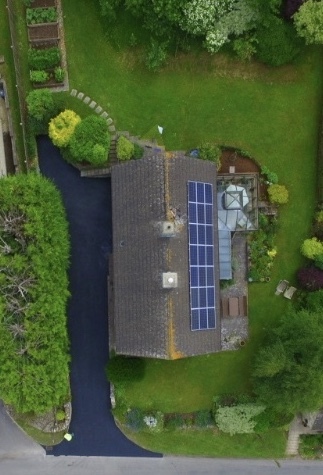 We have over the years built up a reputation in both sectors for excellent workmanship and reliability, so much so that 70% of our work now comes from recommendation. 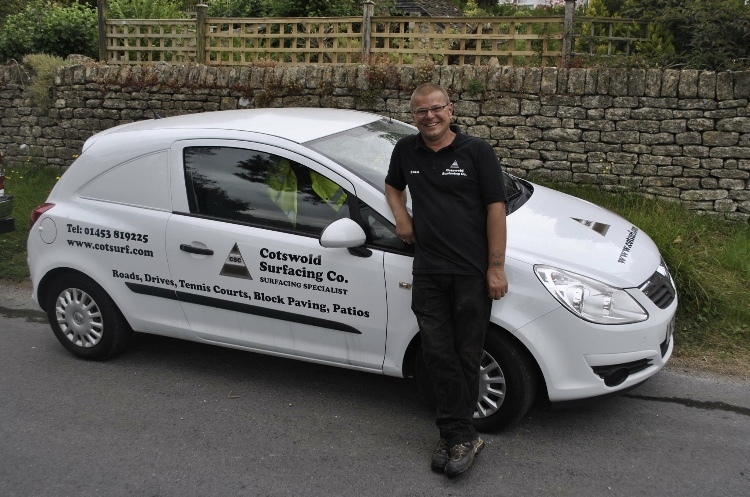 We also advertise on Heart Gloucestershire, Gloucester Rugby, Hartpury RFC and Strencham services, establishing us as a trusted and well known company throughout the Cotswolds. We offer free no obligation quotations, and are quite happy to advise prospective clients on the best way to achieve the results they want. For your peace of mind we do not follow up quotations, but look forward to hopefully hearing from you. All our work is guaranteed for one year from completion (this does not effect your statutory rights). Also we provide a Do’s & Don’ts sheet, at the end of the job – sent to help you keep the surface in the best condition as possible, for as long as possible. 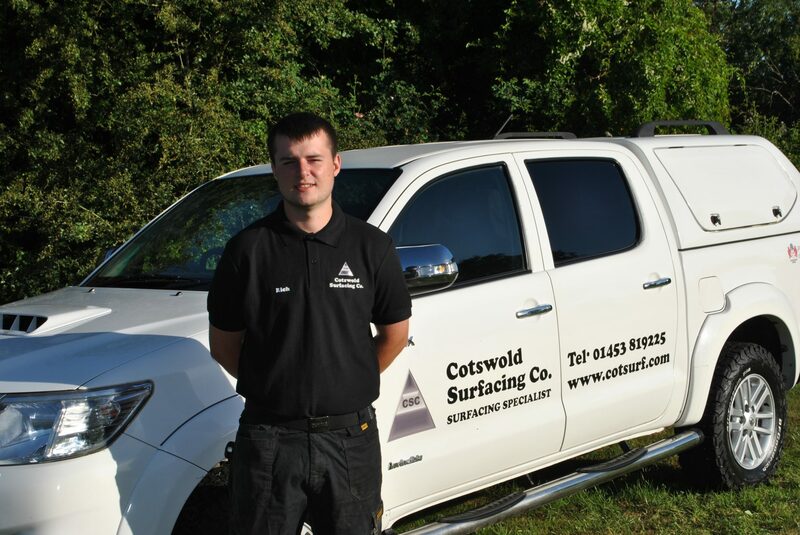 Owner Started working for Cotswold Surfacing in 1995. 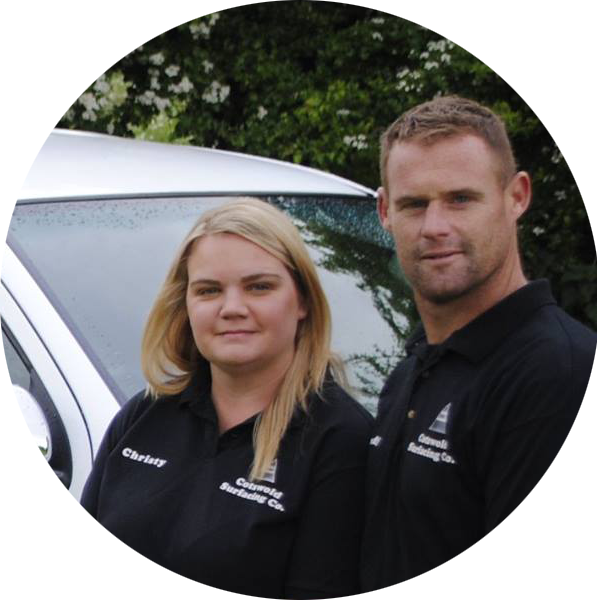 He joined the team as a labourer and has worked his way up through the company to now being joint partner with his wife Christy. 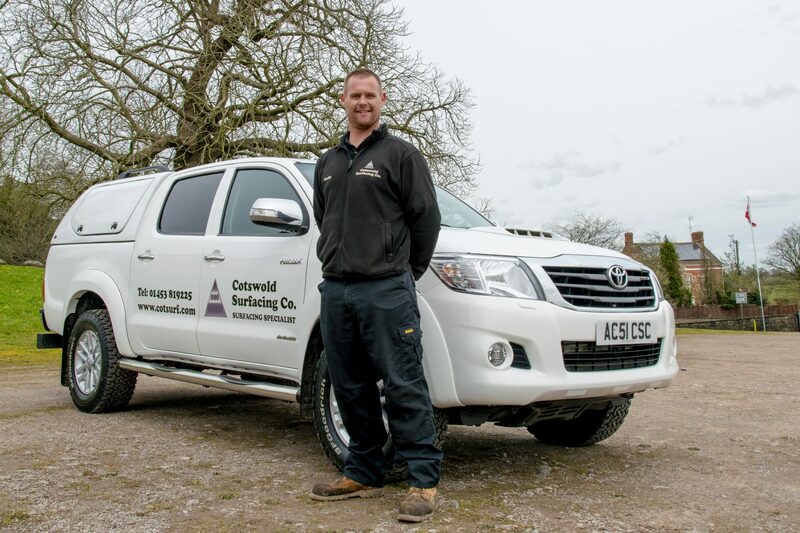 Andy is the primary layer on site and takes care of the day to day running both on site and in the office. Owner Joined the partnership recently in 2011 and has taken on the administration of the business. She is based in the office but can occasionally be seen on site. You’ll see Joe driving the company’s tipper around the streets of Gloucestershire and beyond. Joe brings a wealth of experience and knowledge to the firm and can be seen undertaking all manners of a job within the firm. Joe definitely is our utility man. Joining us straight from college, Ash has been an integral part of the firm’s growth. He shows a determined, professional attitude whilst working and gets on incredibly well with customers, using his infectious sense of humour. We knew we had a good one after Ash completed his school work experience with us. James, aka Shamus as we like to call him, is the stalwart of the firm, joining in 1995 primarily as a roller driver but is an impressive curb layer too. With his experience and knowledge there are not many jobs that could spring a surprise on our Shamus. Stan, the companies QS, will be the company’s first point of call with most customers. 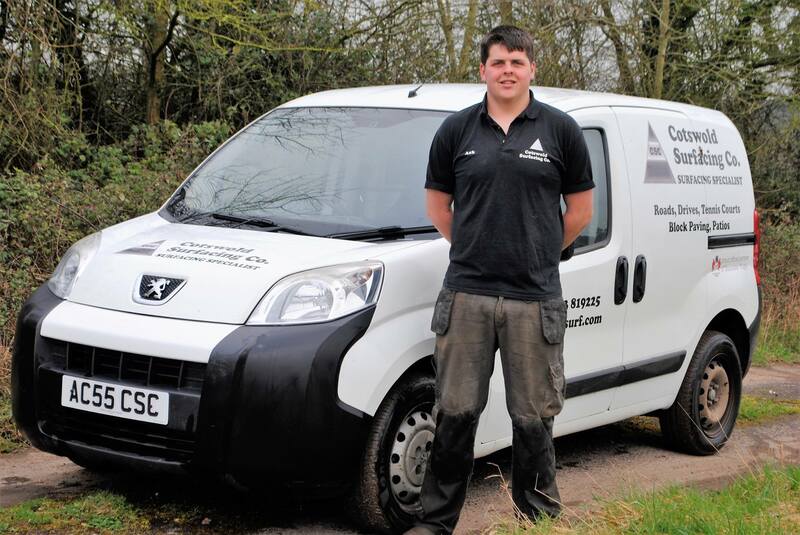 Joining the company in 2015, Stan fits in with the team and can quite often been seen on site when not meeting customers. Stan will always try to accommodate you as a customer when booking appointments. 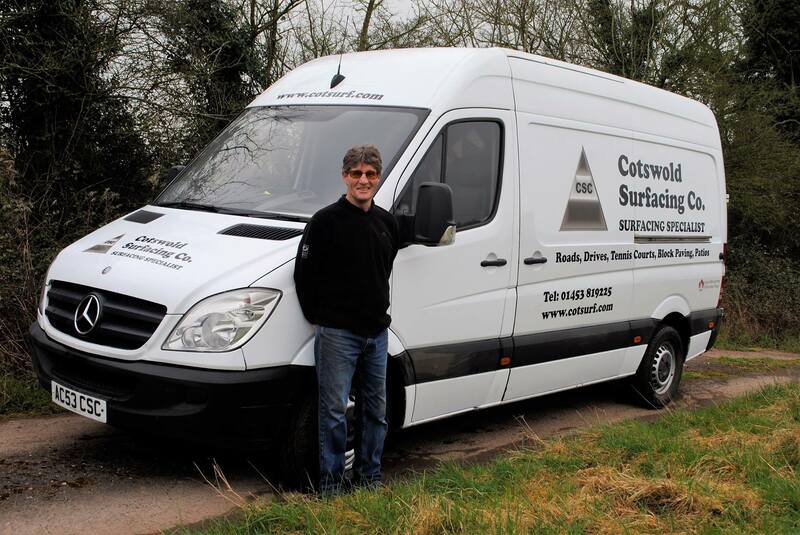 Rich, our newest member of the CSC team, comes to us with enthusiasm and a will to learn the trade. Rich’s sense of humour never fails to give everyone on site a chuckle or two. We look forward to him growing with the firm. Ray founded the company with his wife in 1989 and has seen it go from strength to strength. Christina retired from the company in 2011 when Christy took over her position. 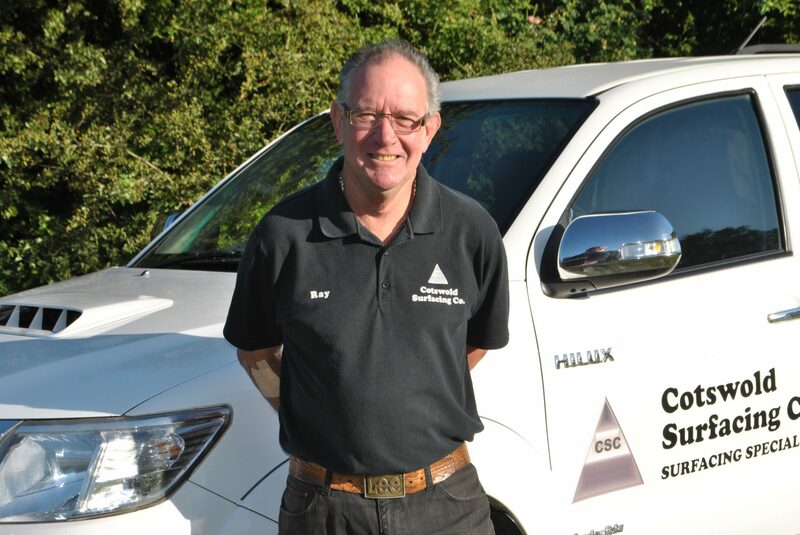 Ray is semi-retired now but can be found in the quoting division, and onsite checking the team.